Serving the legal and professional community for over 63 years. May you do good and not evil. May you find forgiveness for yourself and forgive others. May you share freely, never taking more than you give. 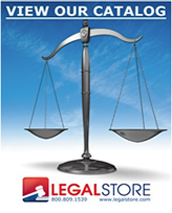 LegalStore.com To gain an advantage, you need a partner who understands your professional office requirements. When you choose, Legalstore.com expect to get ahead with timely delivery, exceptional value and award winning customer service at the outset. Stay ahead by discovery innovative ways to improve your firm's performance and bottom-line while delivery your clients goals. A win - win! As a national e-commerce supplier of professional office products, solutions and services. The company was founded in 1949 specifically to service the office requirements of New York's legal sector. As the number of legal firms increased utilizing the company's services, Legal Store expanded geographically and commence extending beyond its traditional markets. With the company growing larger and more complex, in 2003, Legal Store embarked on transitioning to an entirely e-commerce platform company, hence, LegalStore.com. This conversion permitted the company to take advantage of industry trends and expand its capabilities and range of products and services that has come to play a central role in the company's success. Today, more than six decades later, LegalStore.com has emerged as a leader in marketing legal products, solutions and services for the professional workplace. The company sells, exclusively through its website, an extensive selection of nationally branded and private brand professional office products and services at very competitive pricing. We are acquainted with what is required to excel in managing your firm efficiencies and standings with your clients. We have developed a business resource center to handle all the customization necessities to effectively market your firm. Enabling the firm to focus on its clients, its core competencies and improving its profitability. LegalStore.com, is a division of Western Principal Partners LLC, based in Los Angeles, CA, with customer fulfillment centers located nationwide. Our Mission: A commitment to deliver superb, innovative, and ever-improving products and services to our customers, while offering unique fulfillment to our colleagues. For us, it all begins with our customers. In all our customer relationships, we commit to trust, which means a company of the highest integrity and highest customer satisfaction.